Effective Modern C++ in Traditional Chinese! 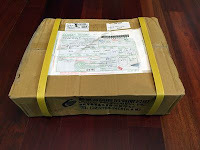 Yesterday I received an interesting-looking box in the mail. The contents were even more interesting: the translation of Effective Modern C++ into Traditional Chinese! This translation uses only one ink color (black), so if you're comfortable with technical English, you're probably better off with the English (American) edition. 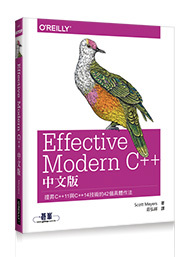 If you prefer your C++ with a traditional Chinese flair, however, this new edition is the one for you. My understanding is that translations into Portuguese and Simplified Chinese are also in the works. If you're aware of other translations, please let me know. In the meantime, enjoy the new Chinese translation of EMC++.